The cost of attorneys’ fees is one of a number of problems the Alabama State Department of Education (ALSDE) is trying to address by proposing changes to the way complaints related to special education enter and work through the system. A series of public hearings about the changes, held in October and November, seated advocates and parents on one side of the table and special education teachers and directors on the other side in a harsh display of “us versus them”. Both sides have their perspective. What follows is the ALSDE’s perspective. Here’s a link to download the changes as proposed. In an interview just prior to the first public hearing, Crystal Richardson, Program Coordinator for the ALSDE’s Special Education Services department gave a number of reasons for why the changes were needed: the extended time it takes for an actual hearing to take place, not having specific information about the complaint, having school officials wait needlessly to be witnesses at hearings and not knowing why they were there, and the amount of money being spent on attorneys’ fees that could instead be spent on services for children. Michael Meyer, attorney for the ALSDE, said simply “the process is broken”, adding that these changes were designed to improve the process for everyone. During the 2013-2014 school year, 79,689, or 10.7% of Alabama’s 746,204 students received special education services during the 2013-2014 school year. According to the National Center on Dispute Resolution in Special Education (CADRE), during that same time period, 184 due process complaints, equivalent to 2/10 of one percent of the total population of students receiving special education services, were filed. Those types of complaints are the ones at issue. Of those complaints, 134 were resolved, withdrawn or dismissed without requiring a full hearing. What Is Due Process Anyway? Due process, as it relates to special education, refers to the way disputes, or disagreements, over some aspect of a child’s special education services are handled. 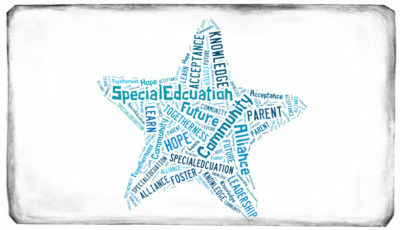 Children receiving special education services have very specific protections and procedures that must be followed, in accordance with the Individuals with Disabilities in Education Act (IDEA), the federal law governing special education in schools. 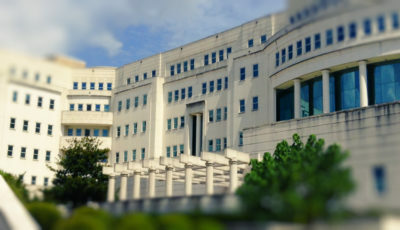 Deborah A. Mattison, a Birmingham attorney who has handled special education cases for more than 30 years, in a lengthy analysis of the proposed changes referred to due process as one of many procedural safeguards “designed to provide parents with meaningful tools to make sure that IDEA’s promises do not amount to empty rhetoric”. School officials must work together with parents to ensure children with disabilities receive a “free and appropriate education”, often referred to as FAPE. Additionally, FAPE must be provided in the least restrictive environment, or LRE. The LRE provision is to ensure students with disabilities are not needlessly placed in segregated classrooms away from their non-disabled peers. To decide what types of education-related accommodations and services a child should receive to ensure FAPE in the LRE, an individualized education program (IEP) is developed. Advocates often refer to this as a contract between a parent and the school as it is a legally-enforceable document. If a disagreement arises between parents and school officials over either what constitutes FAPE, whether the child is being educated in the LRE, or whether school officials are following the rules prescribed by IDEA, the parent can file a complaint, entering into the dispute resolution process, or due process. Nancy Anderson, Associate Director and Senior Attorney in the Children’s Division of the Alabama Disability Advocacy Program (ADAP), said that by far ADAP receives more calls about special education than any other area of disabilities in children. ADAP publishes “A Right, Not a Favor”, a handbook for families covering all aspects of special education in schools. The dispute resolution process, also referred to as conflict resolution process, begins on page 56 of the book. 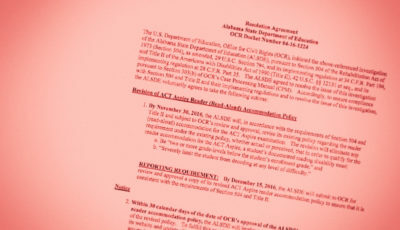 There are three pathways for parents to choose to file their complaints: (1) state administrative complaint, where the ALSDE serves as the final word, (2) due process hearing request, where an impartial hearing officer issues the final word at a hearing (held only after final attempts to resolve the complaint have failed), and (3) mediation request, where both school officials and parents reach a final agreement. Which path a parent chooses sometimes depends on what advice the parent receives and who is giving that advice. All three methods are designed to reach a conclusion about the FAPE a child should be receiving in special education. 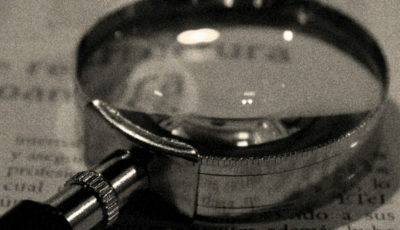 The proposed changes affect multiple parts of the due process hearing request complaint process, from the time limit for filing to the specificity of the complaint. To be clear, when a request for a due process hearing is filed, there is one final attempt, called a resolution hearing, to resolve the complaint without the need for a full hearing. If that attempt fails, a full hearing is held. That hearing contains all the elements of a full court proceeding, including discovery, witness testimony, expert testimony, presentation of evidence, examination of records, and any other activity that may happen in an actual courtroom. Legal fees can certainly add up when attorneys are involved. Hearing officers are hired and paid for by the ALSDE. According to data available on open.alabama.gov, nearly $482,000 was paid by the ALSDE to three hearing officers in FY15, $522,000 was paid in FY14, and $547,000 was paid in FY13. A fourth hearing officer was recently added. 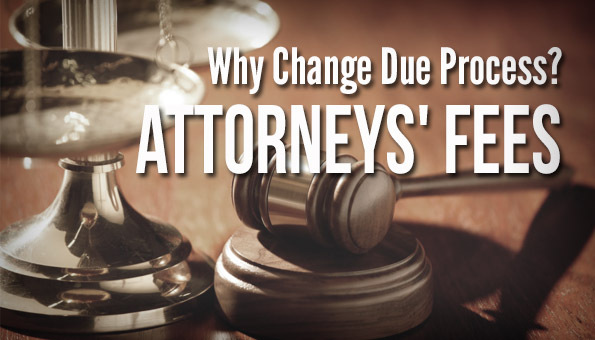 As previously stated, among other reasons, ALSDE officials find that school districts having to pay attorneys’ fees for helping parents pursue due process were one of the reasons for proposing the changes. Meyer said attorneys’ fees are “astronomical”. Richardson clarified that it isn’t only parents’ attorneys that are a problem, but also the fees paid to board of education attorneys to defend the complaints. Richardson said that in many cases, school officials will settle a due process complaint to avoid the cost of a full due process hearing. “They could be providing absolutely the best program, but they can’t afford to defend it. They could be doing the right thing, but they can’t afford to defend it with this process. They’re gonna pay one way or another. And they know that. Because of the process and the way it’s set up,” she said. Jefferson County Superintendent Dr. Craig Pouncey attended the third and final public hearing in Cullman and delivered a powerful statement aimed squarely at those who game the system, saying due process has become “largely a fee-driven exercise of gamesmanship and legal maneuvering again at the expense of children receiving much-needed improvements they need”. Here is Pouncey’s full statement. 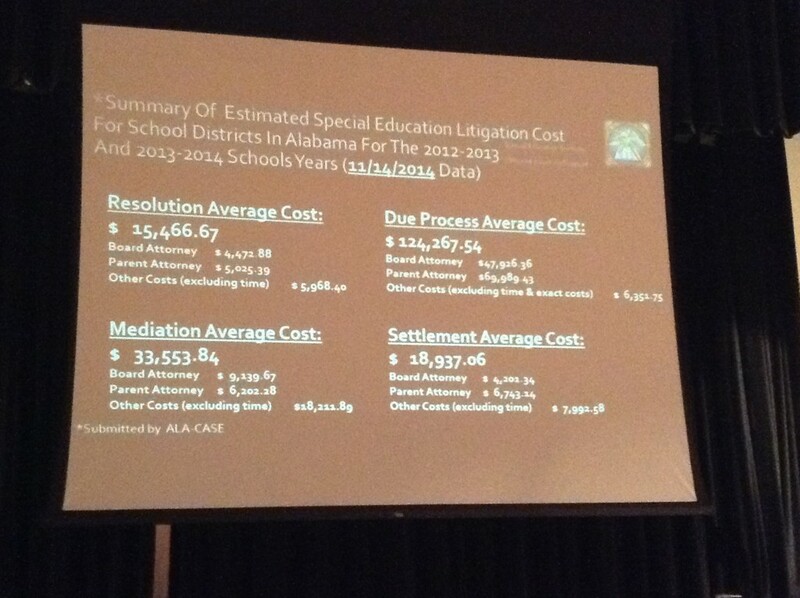 During the three public hearings, in an effort to demonstrate that attorneys’ fees were indeed a problem, the ALSDE highlighted a survey, conducted in spring 2014 by the Alabama Council of Administrators in Special Education (ALACASE) depicting school districts’ litigation costs related to special education for the 2012-2013 and 2013-2014 school years. Here’s a better look at the information in the slide. A number of special education directors stepped to the podium at the hearings and agreed that too much money was being spent on attorneys’ fees and due process hearings, and they would rather see that money go to services for children. No one could provide the total amount of attorneys’ fees paid by Alabama’s school districts during any particular time period. During the third and final public hearing in Cullman, after the Alabama School Connection asked for more information about the survey and revealed the inconsistent results being shared, Meyer attempted to downplay the ALACASE survey results, stating that the ALSDE planned to conduct a new survey of litigation costs prior to asking the state board of education to consider the proposed changes next spring. The ALSDE displayed the survey results as a backdrop throughout the entire public comment section at the hearing in Cullman. Due to reports of an increase in the number of litigious situations, ALACASE conducted a voluntary and informal survey during the months of March 2014 and September 2014. The intention of the attached survey was to assess legal costs associated with due process complaints, settlements and mediation. In Early October 2015 the ALSDE requested that ALACASE provide a summary of estimated costs reported on the survey. The preliminary report was provided to the ALSDE and summarizes “soft” data. It does not include all cases across the state, nor all school systems. Some of the initial questions about the survey results have been answered, but new questions have arisen, and there is still misinformation on the WBRC web site about the survey’s results. The results provided to us do not match the results shown in the slide at the hearings nor with the summary amounts provided. It appears the summary data reflects a different data collection date (11/14/2014) than the full survey results (9/26/2014) provided to us. The survey does give a view of which of the 99 (of 136) school districts were involved in litigation and how many cases they had during that time period: 39 of the districts had no litigation, while six of the 99 districts (6%) accounted for 122, or more than 50% of the 234 cases that were litigated. As the numbers in the survey are verified, the results will be shared in more detail. The proposed changes will be presented to the state board of education at the March 2016 work session, in anticipation of a board vote in May 2016. What was plainly obvious during the two public hearings I attended was that the view of these changes depended on which side of the table you sat on: the parent of a child in special education or the school the child attended. I previously wrote about the disturbing us versus them atmosphere that was on display as applause erupted from either parents or educators, depending upon who was standing at the podium. More on that in a future article. Coming next is a look at what parents and advocates have to say about the due process complaint process. *Prior to incorporating the Alabama School Connection, I requested those settlement amounts from Hoover City Schools. I had been made aware of a number of special education complaints that were settled nearly as soon as parents hired an attorney. I was told that school officials did not track those amounts, and ultimately requested five years of legal fee invoices to try and determine which invoices were related to special education complaints. After waiting a very long time, so much information was redacted, that it was impossible to tell which invoices were related to special education.